NML/436/L1-1 Nazareth Northwestern Mutual Life Participants in IS Development l A team of people comprising: l Project Manager l Systems Analysts l Specialists. 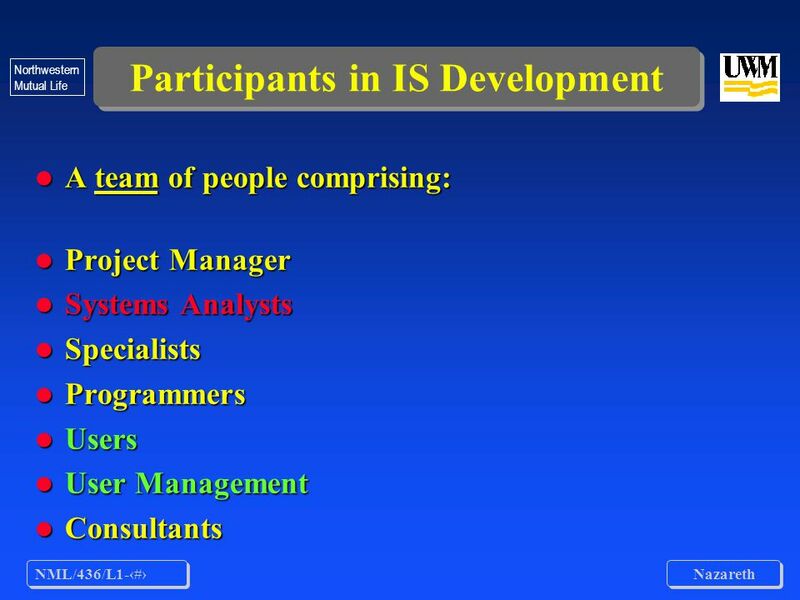 Download ppt "NML/436/L1-1 Nazareth Northwestern Mutual Life Participants in IS Development l A team of people comprising: l Project Manager l Systems Analysts l Specialists." 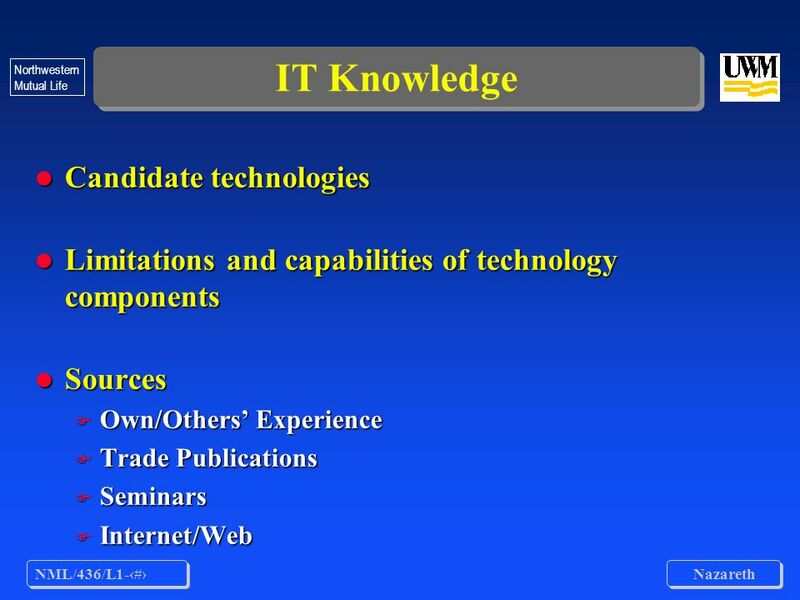 Irwin/McGraw-Hill Copyright © 2000 The McGraw-Hill Companies. All Rights reserved Whitten Bentley DittmanSYSTEMS ANALYSIS AND DESIGN METHODS5th Edition. 1 SYS366 Week 1 - Lecture 2 How Businesses Work. 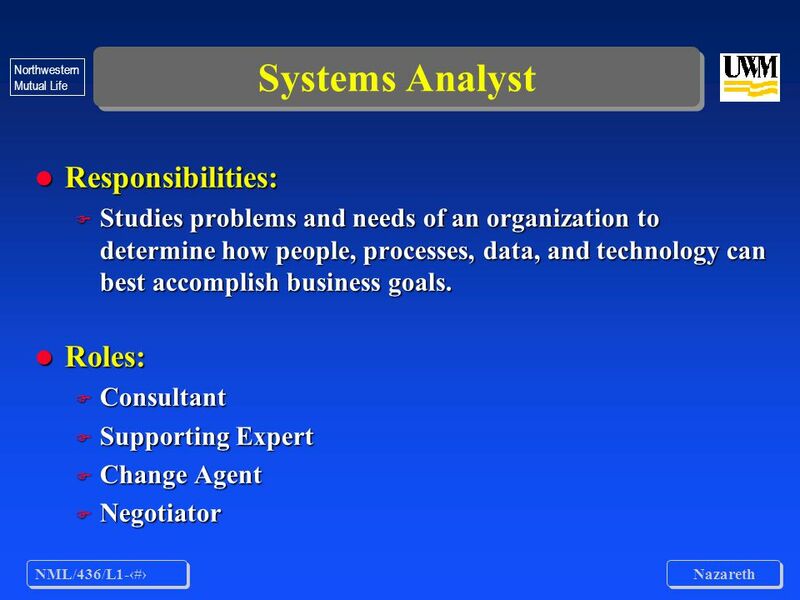 2 Today How Businesses Work What is a System Types of Systems The Role of the Systems Analyst The Programmer/Analyst. 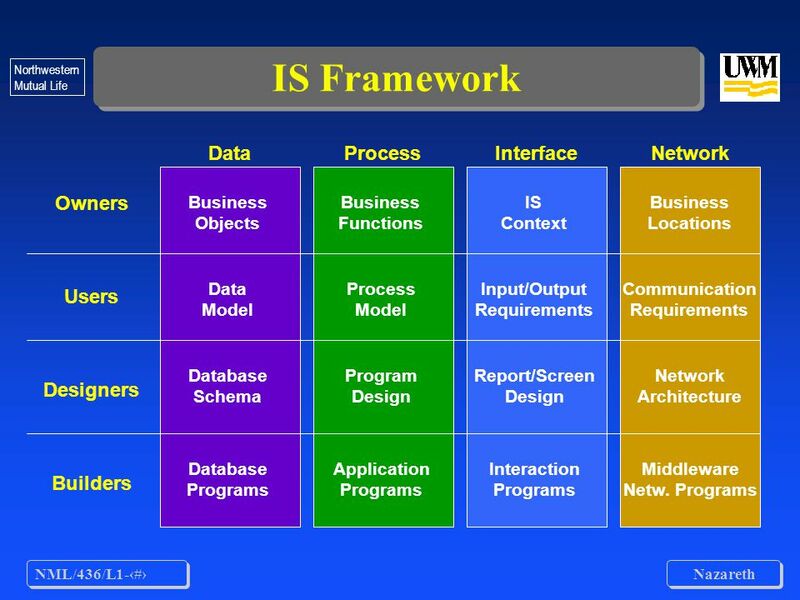 Copyright 2002 Prentice-Hall, Inc. Chapter 1 The Systems Development Environment 1.1 Modern Systems Analysis and Design Third Edition Jeffrey A. Hoffer. 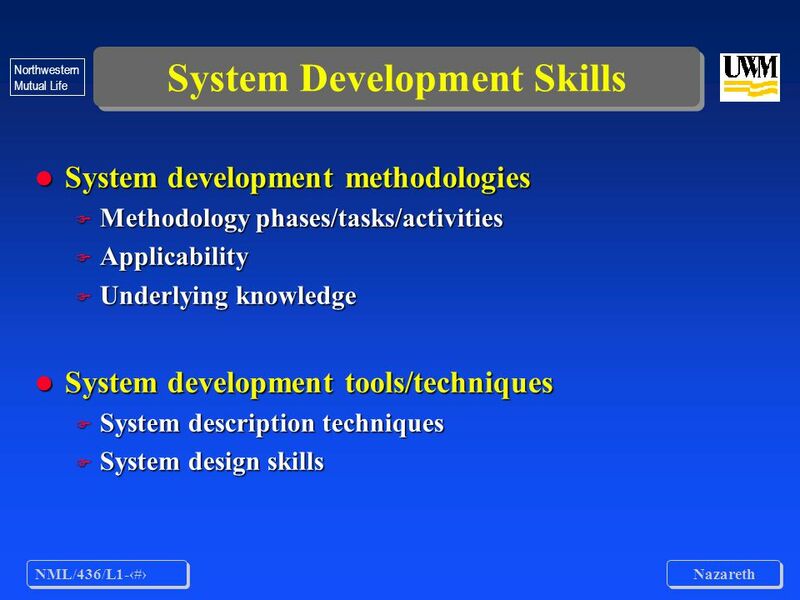 Chapter 1 The Systems Development Environment 1.1 Modern Systems Analysis and Design Third Edition. 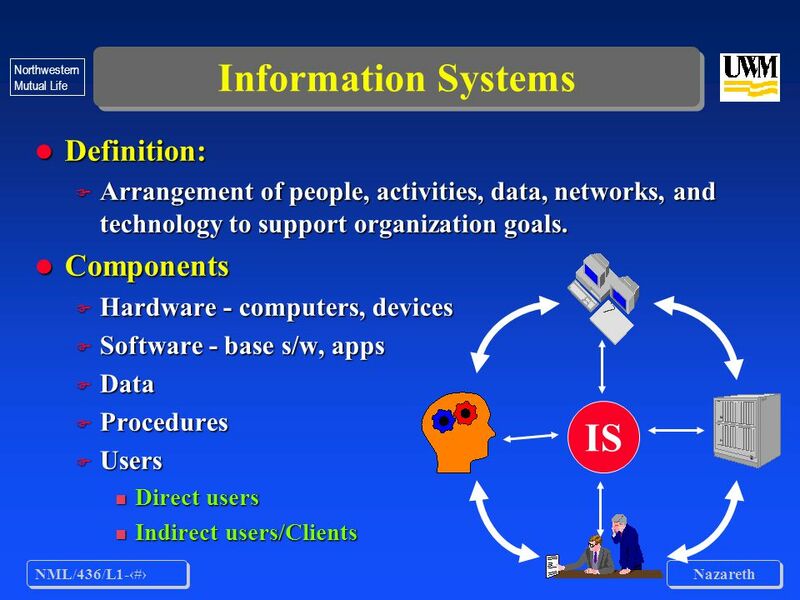 CSE Information Systems 1 Revision. 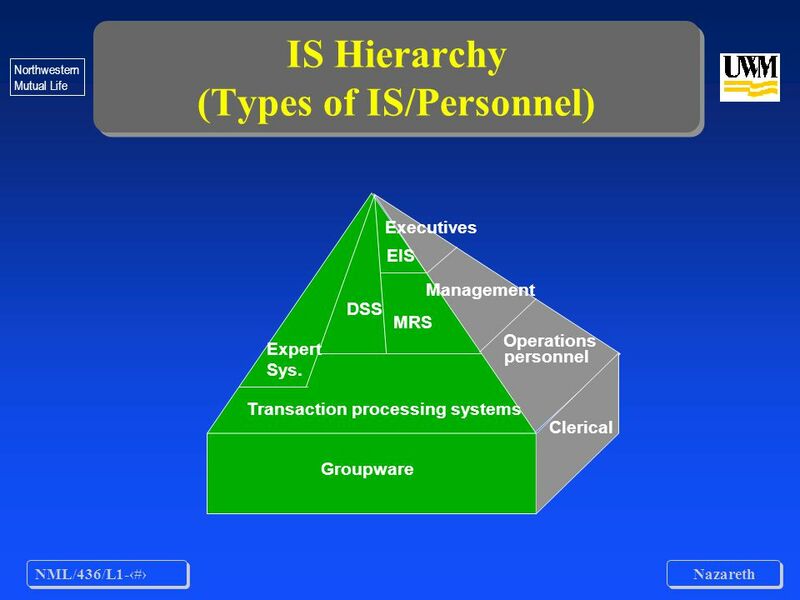 Subject Overview System concepts and information systems Systems development and the SDLC Information gathering. 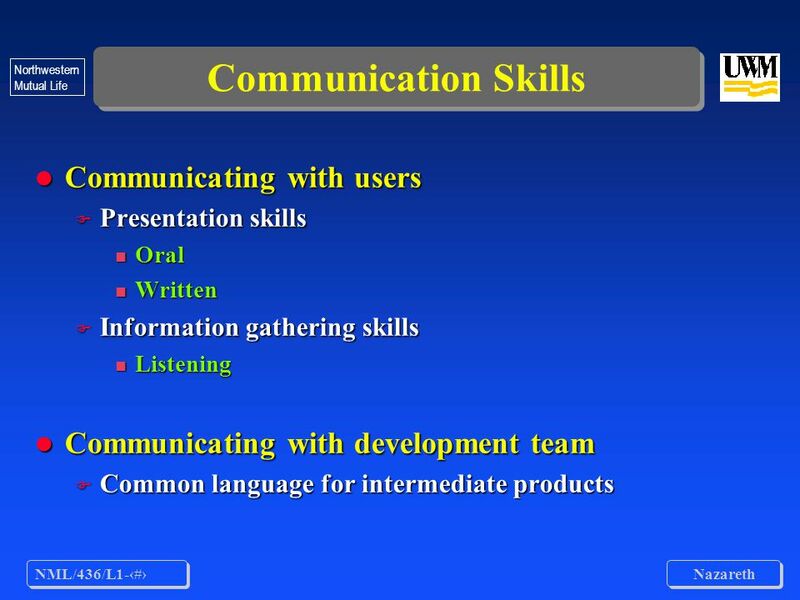 Copyright 2004 Prentice-Hall, Inc. Essentials of Systems Analysis and Design Second Edition Joseph S. Valacich Joey F. George Jeffrey A. Hoffer Chapter. 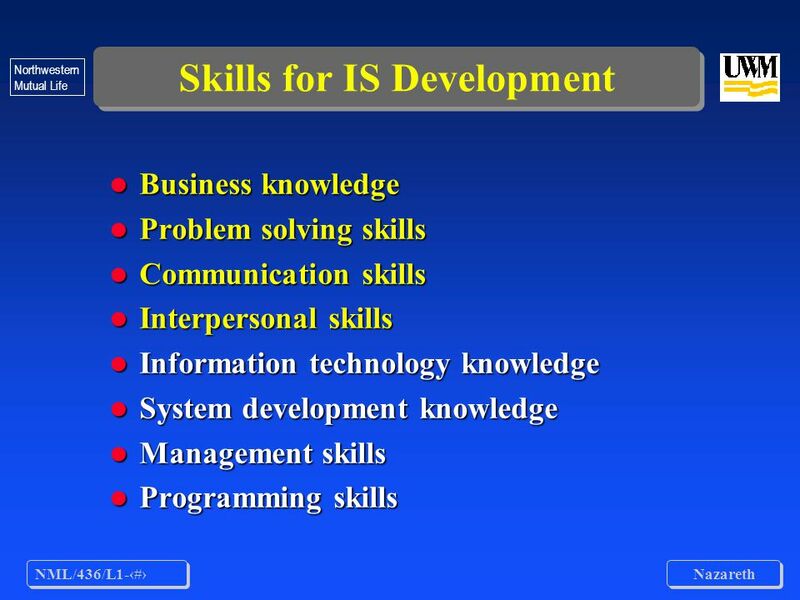 CSE Information Systems 1 IMS Information Systems 1 Revision. 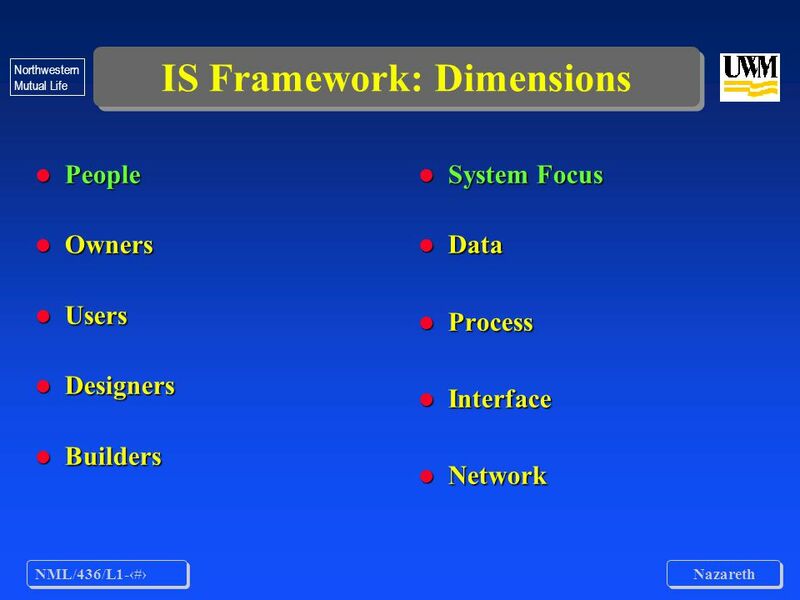 Lecture 13 Revision IMS9001 - Systems Analysis and Design.